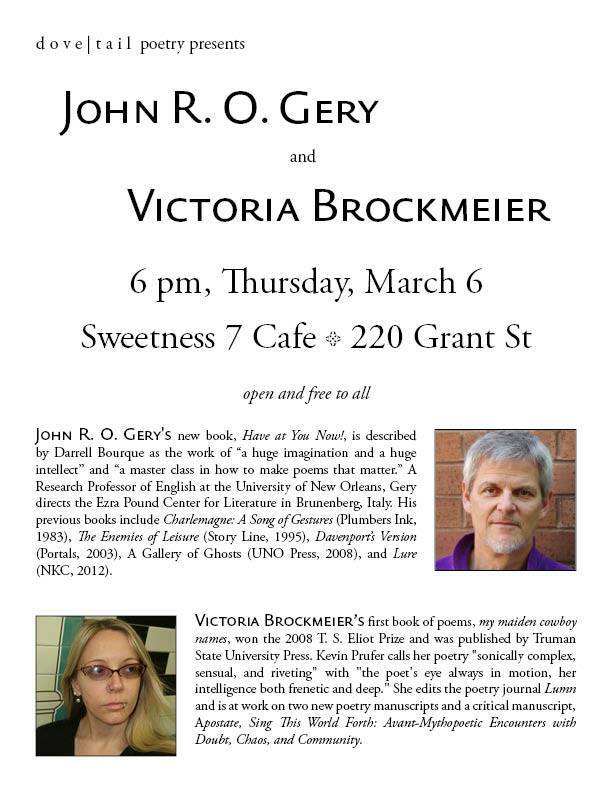 On Thursday, March 6th 2014 John will be reading with poet Victoria Brockmeier at Sweetness 7 Cafe in Buffalo, NY. The reading will take place at 6pm at the cafe on 220 Grant Street. Copies of John’s new book, Have at You Now! will be available for purchase, and there will be a signing.